We have created a comprehensive list of both the pluses and minuses of owning a modern electric fireplace. We hope you find it enjoyable, helpful, and it guides to make a purchase that is exactly right for you, meeting your specific needs. Electric fireplaces can be real space savers compared to traditional fireplaces. Wall mounted electric fireplaces and slimline mantel fireplaces only protrude 6 to 10 inches into a room. They do not require mounting into walls. There is tremendous flexibility regarding installation. 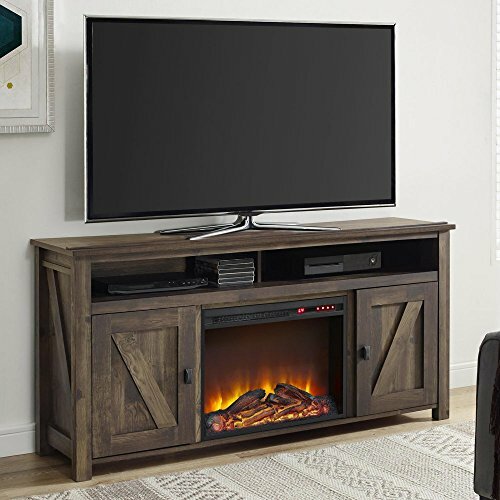 Electric fireplace inserts come in a wide variety of sizes, shapes and which can be combined with furniture such as corner TV stands, fireplace media centers, mantels or bookshelves. If you have an apartment or condo, a small electric fireplace might be your only option in adding coziness and ambiance to your living space. The independent variety of sizes shapes and colors allow them to match architectural styles be it traditional or a contemporary electric fireplace much more accurately than many wood or gas fireplaces. Here Are Decor Samples And Types Of Electric Fireplaces. Installation of an electric fireplace is often is easy as un-boxing it and plugging it in. There are no contractors or major house renovations involved. As a matter of fact, most installations are one person jobs. Wall-mounted electric fireplaces are as easy to install as hanging a large mirror. Media center fireplaces are very similar to putting bookshelves together. If you move frequently, be it condos, apartments or houses, you can take your electric fireplace with you, they are complete portable. That portability factor also means that they can be moved from room to room at any time. An electric fireplace unit may be the most logical option if you live in an apartment or condominium where there is no existing fireplace. They don’t require chimneys or gas lines. Most units come with a remote control, although you may want to take a look at the features that are on the remote. Some are simple on-off switches and others control everything from level of flames to level of heat. You can have a beautiful fire even in the middle of summer, most electric fireplaces have the option of generating the flame effects without the heating elements being used. You have much more direct control over the heat output more control over heat output then with a wood fireplace. With electric fireplaces all you have to do is set the thermostat or flip the high low heat switch depending upon your model. They can be used as zone heating which allows you to keep the thermostat for your central heating system at a lower temperature while maintaining the same comfort level. They can “not the chill off” a larger room. That saves you money. While electric fireplaces are not designed to be the central heating source in a home, they can heat a small room much more efficiently than a real fireplace. Electric fireplaces leave a much smaller carbon footprint because no harmful or lethal gases and toxins are released into the environment. If anyone in your home has respiratory difficulties such as asthma or bronchitis, they will not be aggravated by off gassing that occurs with wood and gas fireplaces. There is no chance of fire from a shooting ember or a log rolling out of the fireplace. There is no creosote (flammable tar) buildup, which can lead to fires. Check that your electric fireplace is CSA certified (The Canadian Standard Association, a nonprofit organization that sets electrical industry requirements of both the United States and Canada). The flames are not real so fire hazards from open flames are eliminated. Electric fireplaces are kid and pets safe. There are not exposed hot surfaces that can cause accidental burns. Materials are usually cool to the touch except for the heat discharge vent which may become warm to the touch. Except for changing a light bulb every 2 or 3 years they are maintenance free. No experts or specialists required for maintenance or installation. Infrared Fireplaces offer more heat then standard electric fireplaces. Electric fireplaces are less expensive than either a wood fireplace or a gas fireplace both in installation costs and running costs. For a more detailed look Click Here. One of the biggest flaws with electric fireplaces is that they do not utilize real flames, so depending on the eye of the beholder, they can look artificial or fake. You don’t have the fun of tending, poking and prodding a real fire. You may be paying a penalty in terms of ambiance, as there is no sound of crackling and popping of wood as there is in a real wood-burning fireplace. (This can be remedied with a crackling sound effect machine which is an accessory available on electric fireplaces ). Thee are no smells of burning wood. As is noted in virtually all of our electric fireplace reviews electric fireplace heaters are not designed to be the primary heat source in a home. 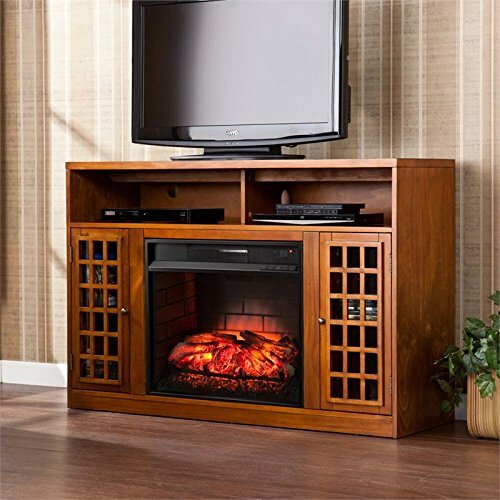 Electric fireplace heater boxes generally provide as much heat as a small electric space heater. In fact, strictly for heating, space heaters off more capability to heat larger spaces – of course they are no fun to look at. Since these fireplaces run on electricity, they are not usable during power outages. If you live in a remote areas subject to frequent power outages, they will not be a reliable heat source. If the object of the exercise is to find alternative, reliable heat during storms or outages, gas or would fireplaces make much more sense. You will definitely see the dreaded words “some assembly required”. For the fireplace itself it simply means attaching the flame effect screen to the heater box. For a wall mount fireplace, installation is as simple as attaching a mounting bracket to the wall and “hanging” your fireplace on it. Assembly can be progressively more complex when you add furniture surrounds to the electric fireplace insert. A media console, bookshelf unit, or electric fireplace mantel surround means more assembly that could be a bit more complex. It is very similar to putting together an IKEA bookcase. Adding a full permanent fireplace with chimney can increase the value of your home. A national realtor association says that fireplaces are the third most often requested feature of a home and can increase the value 6-8%. However, since an electric fireplace isn’t a permanent installation, it will not increase the value of your home. If you sell or move, simply take it with you. Although electric fireplaces designed to run from a standard 120v household outlet, they tend to draw maximum power. If there are other appliances on the same circuit, you could blow a fuse or circuit if your outlet has other appliances on it or is overloaded. Although this is not the norm, for larger electric fireplaces units with increased heat capacity, you may need special wiring or a dedicated circuit. You might need to use a surge protector. It is important to look at the heat discharge of your unit. Does the heat discharge from the top of the unit or does the heat come out low from the front? The method of heat discharge can have safety implications. For instance, it is not recommended to mount a TV set over a top discharge unit. If the heat blows out the bottom, you might not want to have any flammable objects near the path of discharge. Install it away from carpet, drapes, or flammable material. Is really important to make sure that the electric fireplace is securely mounted. If it is a console unit or mantel unit, it definitely being needs to be anchored to the wall to prevent the fireplace of tipping over. Most electric for your places are “front heavy”. Electric fireplaces are generally chosen for their low-cost, high-efficiency, and overall practicality. They offer a surprisingly large number of positive reasons for consideration. The major drawback or con is one of personal taste – how real does the fire appear to you, and how important is it? Thank goodness the technology has improved drastically in the last couple of years. We hope that taking a look at the pros and cons of electric fireplaces has increased your knowledge of electric fireplace pros and cons and will allow you to make a more educated choice on exactly which type of fireplace is best for you and your unique needs. Please feel free to comment on our article using the form below. I think electric fireplaces look great and are really convenient, but they just can’t beat wood ones in my opinion. There’s just something about having a genuine fire in the room that warms everything up. It’s especially nice when there is a snowstorm outside and you are all cozy on the inside. Any kind of fireplace has pro’s and con’s. I grew up with wood burning fireplaces and loved them. unfortunately my living situation does not allow them. In my mind these serve many people. Thanks for your comment and your visit. NO!!!! NEVER put a heater near curtains of flammable contents…. 5’ away from anything flammable. Do not put items on top or around either. 70% of portable heater fires are started this way. Weather it’s a old fashioned electric base heater or a fancy fire place heater, it remains the same risk…. Great article, it answered questions I didn’t even know I had, thanks so much! You’re welcome. Our policy is to go deep and think out of the box. Great stuff, most people are thrown off by the cost of electricity when it comes to running an electric fireplace but here down under the cost of wood (to burn) is way more. An electric fireplace just makes sense. Thank you for your comment. The cost of running an electric fireplace just for the flame effects is next to nothing. Thanks Bill for your amazing article of Electric fireplace pros and cons. I decided to buy an Electric fireplace in my bedroom. But I have no idea about it. Your article helps me a lot . I have a concern, how much electricity consume. Is it true that the bill will come higher. You mentioned that when it comes to electric fireplace safety, a huge benefit is that they do not emit any harmful gases and fumes such as carbon dioxide and carbon monoxide. My wife told me that for Christmas this year we are getting a fireplace for the house. Do most electric fireplaces come in different options or styles? Hiring a contractor to come and install one for us might be a good option. Derek, yes they do come in many styles and you don’t have to worry about your chimneys getting dirty. Looking for a realistic flat screen fireplace (“logs” preferably) for the livingroom wall in my apartment. Are any made without a heater? I’d just as soon not have that feature for cost and safety reasons. Sorry Elaine, every electric fireplace we’ve seen has a heater element. At the same time all the ones we have seen can run the flame effects without the heat on. If you are worried try the TSR-01 Safer Socket Fire Prevention Plug. So much info in your article. Thank you. 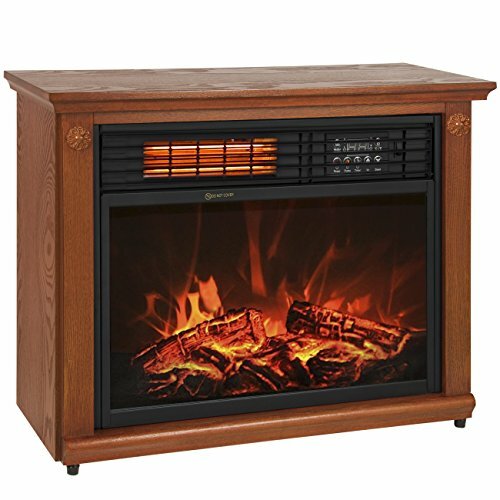 Are electric fireplaces the same as space heaters, just more decor friendly? Thank you for your kind words. People buy electric fireplaces for one of three reasons or a combination. They are looking for heat, organizing a media center, or for the ambience and coziness generated by the flame effects. When people are dissatisfied with their electric fireplace it is usually due to their misunderstanding the heating capabilities of any standard electric fireplace. Generally, they will provide supplemental heat for up to 400 ft.² of space. This is a limitation produced by the standard electrical outlet and household circuit, not the manufacturer. If you have an open concept house and put it in a living room you will notice hardly any heating affect at all if it is placed in a closed bedroom it will heated quite well. Electric fireplaces are also commonly used somebody’s engaged his own heating program. Delivered & Assembled, w/o Instruction Manual! DO NOT use an Adapter or A Power cord or Extension cord!!!! WILL OVER HEAT! Other than this small set back, I truly enjoy my Fireplace! Every single manufacturer warns against using an extension cord or power strip for fire hazard. If you HAD to talk to an electrical expert for super heavy duty cord to handle fireplace specs. For added protection we reccomend the Twin-Star TSR-01 Safer Socket Fire Prevention Plug from Amazon. Can the unit be set inside an existing wood burning stove? 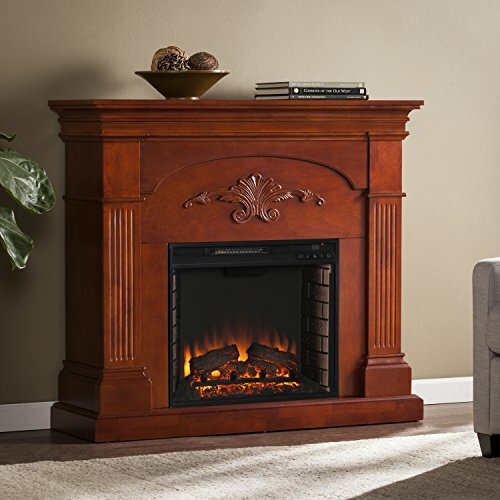 An electric fireplace is a self contained unit. Many people place electric fireplace inserts in existing fireplaces, custom furniture, RV’s and campers. I can’t imagine placing it in an enclosed stove. Just measure your opening, if it fits you’re in business. I have read your whole website and everyone’s comments. However, I am still confused on how a insert works in a fireplace. If the plug is in the back how would you do that without it being unattractive?? As in the cord sticking out, and letting air in from the outside. 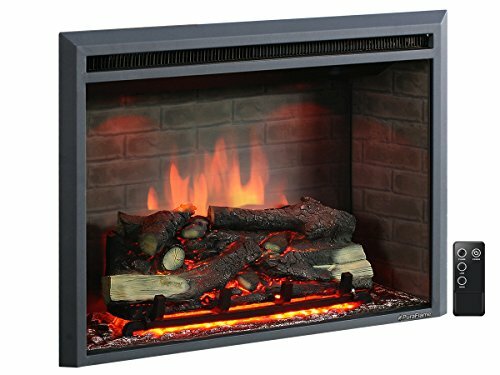 I am building a new home and I am leaning towards an electric insert to resemble a gas fireplace. This is purely for the cost savings, and the flexibility of placement. Is it better to have the insert hardwired by an electrician? 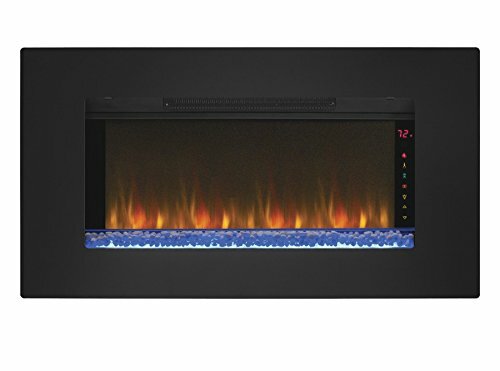 I bought Wall mount electric fireplace with a unique and transitional design that easily fits on your walls and add a modern look to complement a variety of décor styles with its exclusive features and designs. 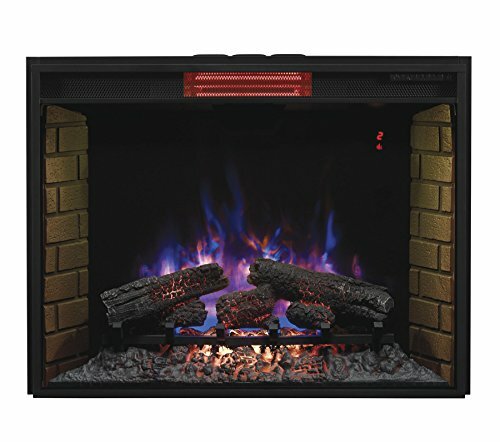 Everyone can browse the great selection of electrical Fireplace & mantels and accessories at magikflame.com that offers the best realistic flame effects with rolling smoke & glowing embers. 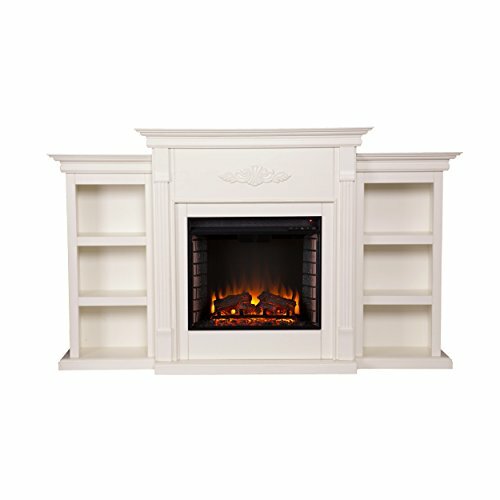 I’m building a fireplace frame for my TwinStar ClassicFlame Infrared flush mount insert and wondered if there are materials I could use that would be safer than your standard lumber and drywall? I’d really like to make sure our fireplace is mounted in the safest materials if possible. Thanks! That’s a great blog, thanks for sharing this information. As we all know nowadays electric fireplaces are very expensive and can’t be seen in everyone’s home. But I have a site from where you can get the most realistic electric fireplaces without breaking your budget. Please have a look at the website. 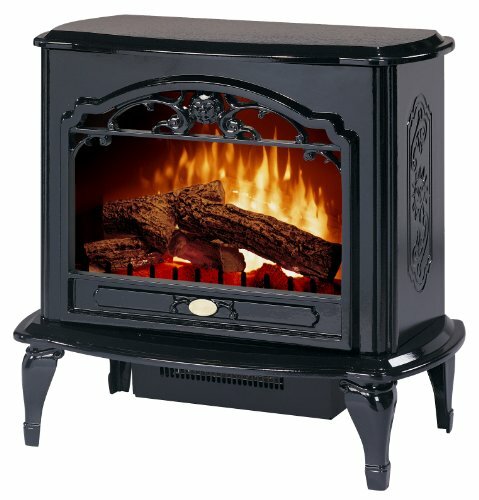 I have an electric fireplace can I put it under my thermostat or will this effect it? On one fireplace I saw a safety concern for California. It reports it Could cause cancer and birth affects. Is this true for all electric fireplaces? How do these fireplaces affect your electric bill? Freestanding electric fires have come a long way in recent years. There are now some very attractive and economical options available that will suit most modern homes. You will be able to choose from a wide range of styles, designs, colors and finishes so that you get the perfect look for your home.